THE XENA SCROLLS: An Opinionated Episode Guide (107 & 108) | THAT'S ENTERTAINMENT! When Gabrielle unknowing utters a chant that releases three imprisoned Titans, Xena must figure out how to save the innocent villagers. 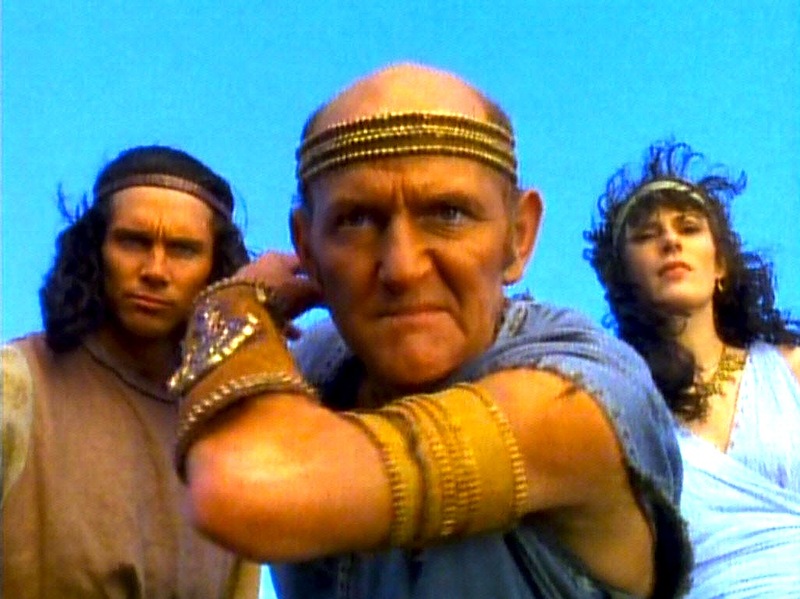 Though Xena experienced growing pains throughout the majority of its first season, there were few episodes that truly didn’t work. In fact, the closest episode that we can label as a misfire from the initial 13 episodes is “The Titans,” which was one of the earliest scripts written, and the first to give Gabrielle a lot to do. (Remember, “Dreamworker,” though shot and aired earlier, was written after.) The usage of the character here leaves a lot to be desired. Basically, she’s annoying, she’s foolish, and she’s more nuisance than sidekick. 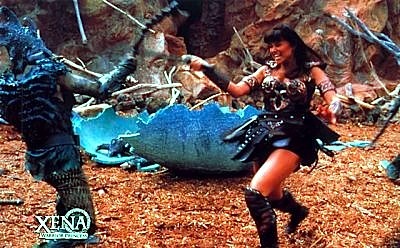 Her function: induce the conflict and force Xena to come to the rescue. It’s amateur storytelling, and a far cry from the way Gabrielle would be written in, well, for almost the majority of the series. However, we can argue that the character’s immaturity here is perfectly in line with her depiction in the first episode. 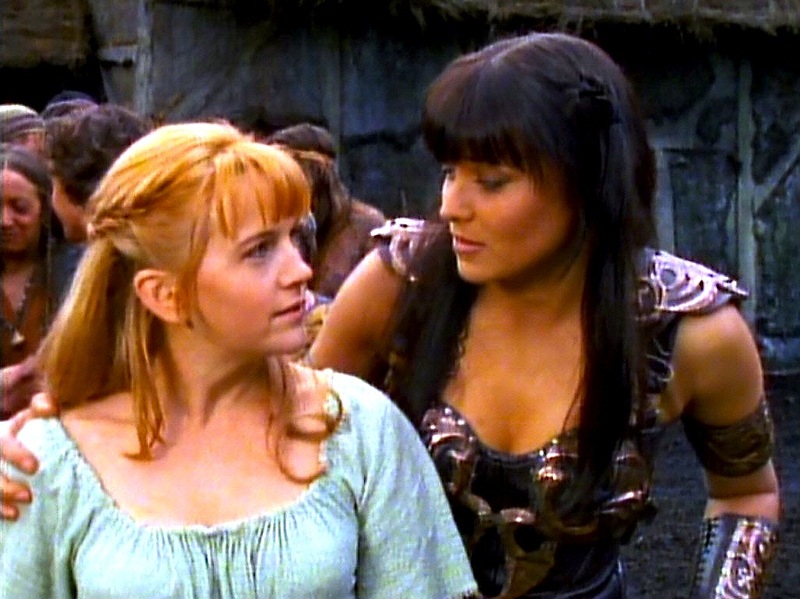 And since the series, in addition to focusing on Xena’s redemption, is also about Gabrielle’s growth, then perhaps an episode like this is necessary. Problem is — it’s not great viewing. Especially since, with an under-developed Gabrielle (and three pedestrian guest stars) at the focus, Xena doesn’t get a lot of quality material. And, though Gabrielle will eventually become a superbly crafted character, any episode that doesn’t properly utilize its titular heroine is flawed by design. So, cheesy writing aside, this is where the episode most loses points. Like the two episodes written before this one (“Cradle Of Hope” and “Death In Chains”), there’s little in the premise that makes it distinctly Xena. This could have easily been a Hercules episode. Surely, the inclusion of the Titans and the rather sophomoric plotting indicates that it maybe would be better suited for that series. Again, this is a common complaint with some of these early episodes — as the series was still figuring itself out. 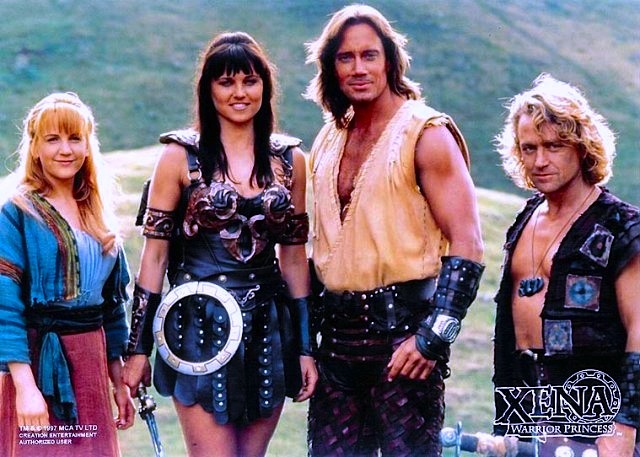 As a result, some myth-loving fans may appreciate this episode, but, by and large, it’s an underwhelming installment — especially since it follows two episodes (“The Path Not Taken” and “The Reckoning”) that were almost uniquely Xena. 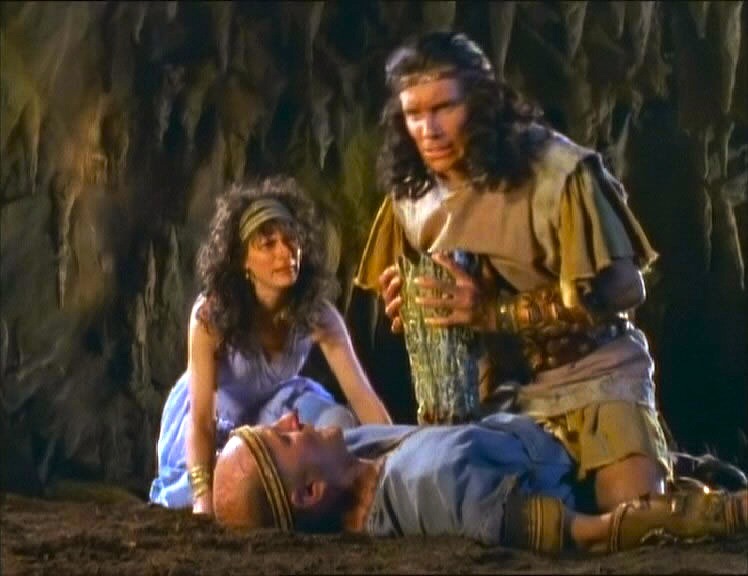 Xena and Gabrielle team up with Hercules and Iolaus to free the kidnapped Prometheus, the god responsible for making fire available to Earth. 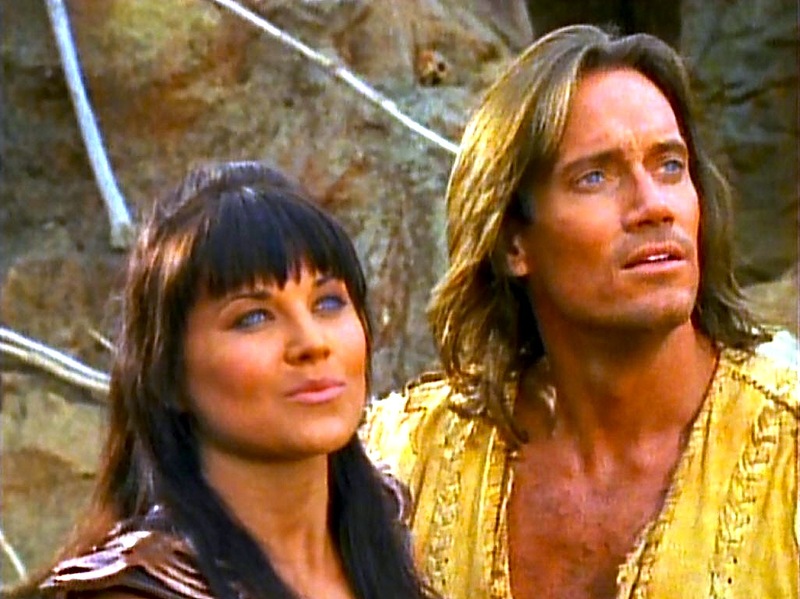 I featured this episode during my coverage of the Hercules & Xena crossovers. Read my thoughts here.